Boston Common magazine features our Indus mosaic in designer Petra Hausberger’s “Modern is the New Black” story! 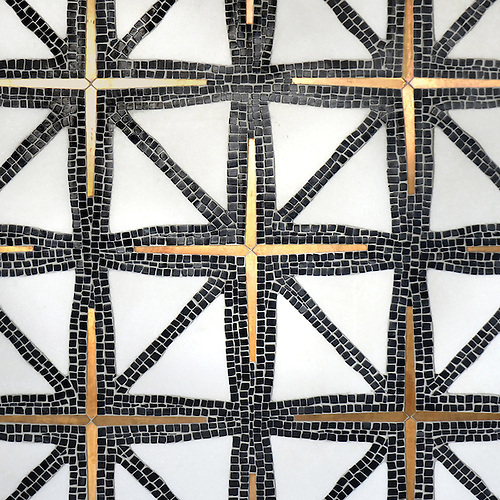 Indus, a mosaic designed by James Duncan for New Ravenna, can be made from stone, shell, and metals. Check out the feature below! Looking for a design expert in Boston? Check out Tile Showcase in the Boston Design Center! Hello, I am interested in the Indus tile and it’s availability, shipping, and costs.